Since its inception in the 1997 model year, the Ford Expedition has offered impressive size, power, and luxury seldom seen in its class. The 2019 Expedition is no different, providing seating for eight, best-in-class towing, as well as more torque and cargo space than any Expedition that came before it. Cutting edge technology, convenient features, and style are just the icing on the cake that is the 2019 Ford Expedition. Read on to learn more about Ford’s largest and most capable SUV. After receiving the J.D. Power award in 2018 for Highest Ranked Large SUV in Initial Quality, there weren’t too many changes Ford needed to make to their largest SUV—but that didn’t stop them. The 2019 Expedition comes with more room, for cargo and passengers alike. Standard PowerFold® and power-recline third-row seats, not to mention best-in-class second and third-row leg and hip room, ensures there isn’t a bad seat in the Expedition. An advanced available cargo manager helps keep your cargo in check, and helps keep you organized. The 2019 Ford Expedition is more than just spacious—it’s capable and powerful, too! A standard 3.5L EcoBoost® engine combines direct injection and turbochargers for powerful and fuel efficient performance to the tune of 375 horses. When matched to Ford’s incredible 10-speed automatic with SelectShift® transmission, it’s no surprise the Expedition produces 470 lb.-ft of torque—good for best-in-class towing of up to 9,300 lbs. Further performance technologies, like Terrain Management System™, or Hill start assist and Hill Descent Control, mean that you can feel confident exploring off the beaten path—or just driving through Edmonton’s inclement winter weather. 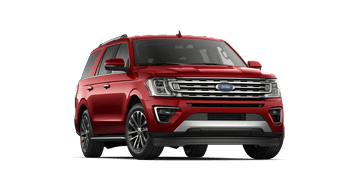 An already spacious vehicle, each trim level of the 2019 Ford Expedition is also available in the MAX trim level. Almost a foot longer, the Expedition MAX takes the larger than life Expedition and somehow makes it even bigger. More room for passengers, more room for cargo, and no skimping on any of the power or performance that makes the Expedition the top SUV on the market. A 3.5L EcoBoost® engine, 10-speed transmission, and multilink independent rear suspension makes for a comfy ride—for all 8 possible passengers. Building on the already stellar XLT model, the Expedition Limited offers 20-inch machined aluminum wheels, for a look that’s larger than life. Standard continuously controlled damping suspension means all the bodies in your Expedition Platinum won’t feel any of the potholes. 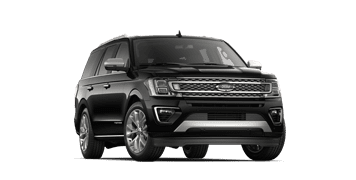 The 2019 Ford Expedition will be arriving shortly at Edmonton’s favourite Ford dealer, Team Ford, any day now. If you’re looking for an SUV that’s big on strength, capability, and personality, then the 2019 Ford Expedition should be at the top of your list. Contact us to be informed when the first 2019 Expeditions touch down on our lot.